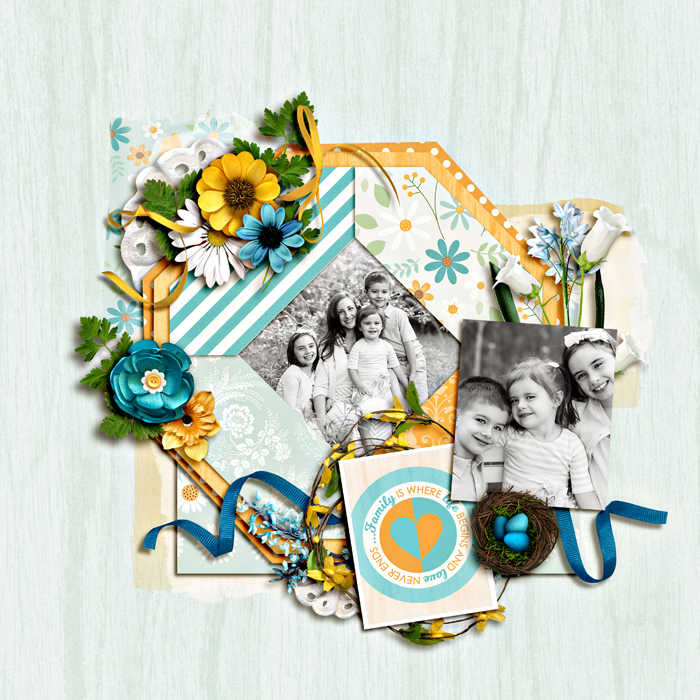 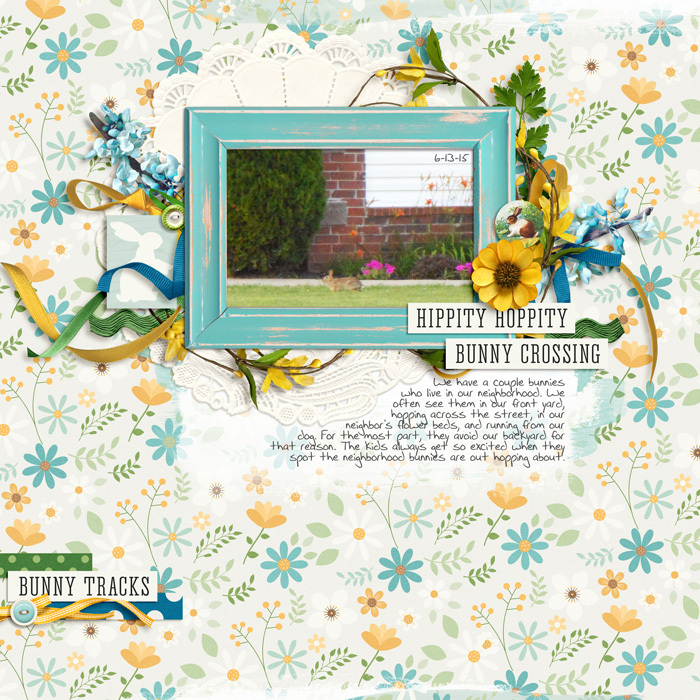 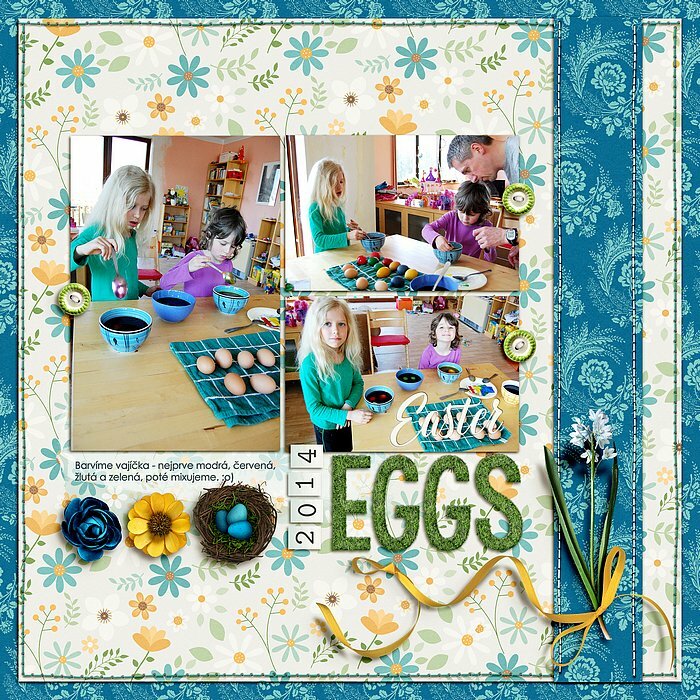 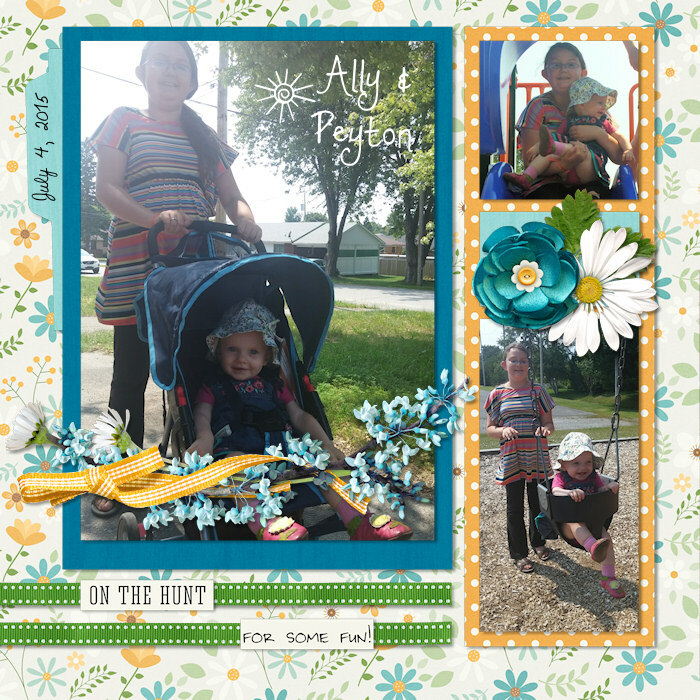 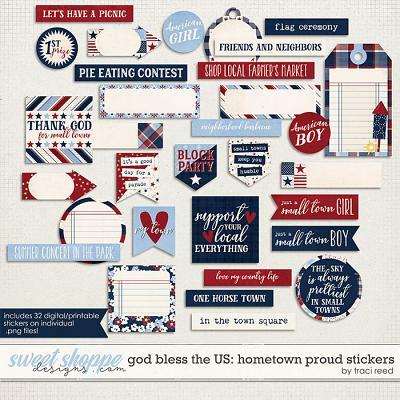 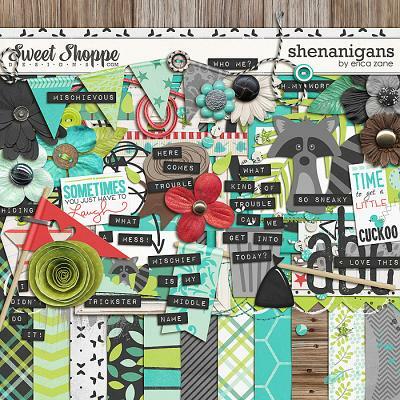 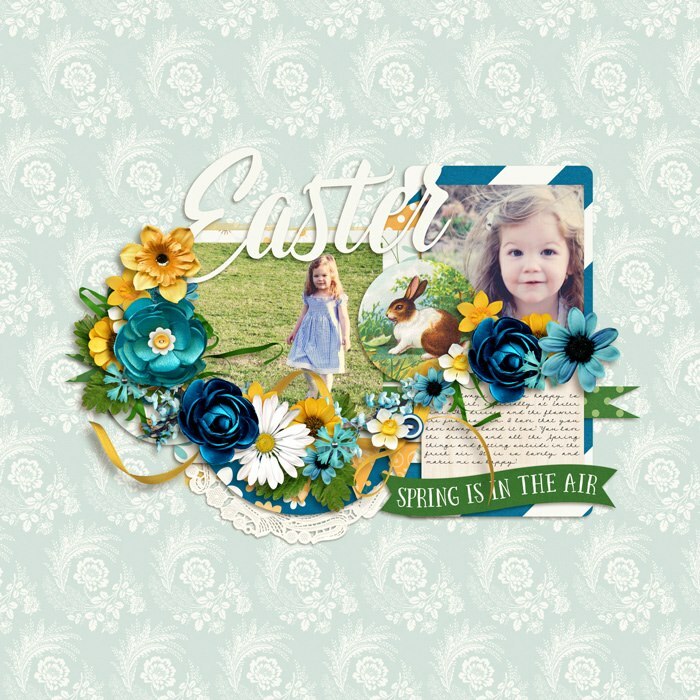 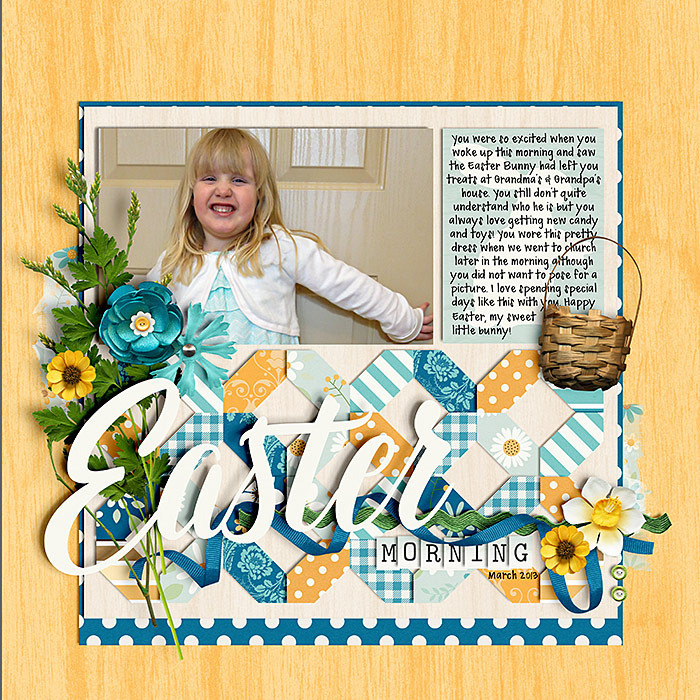 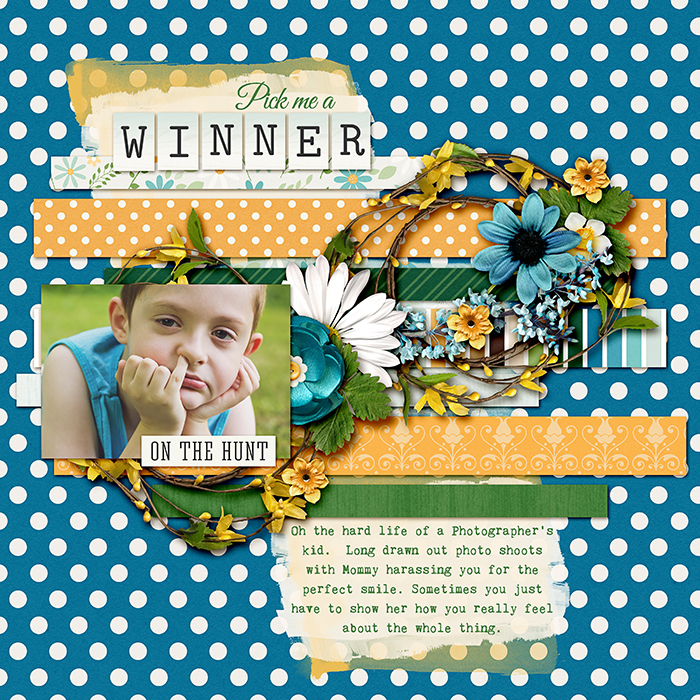 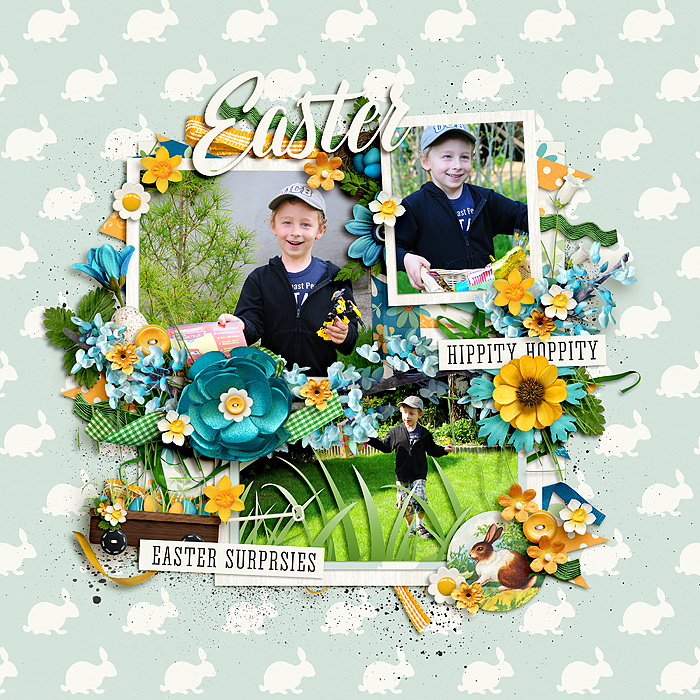 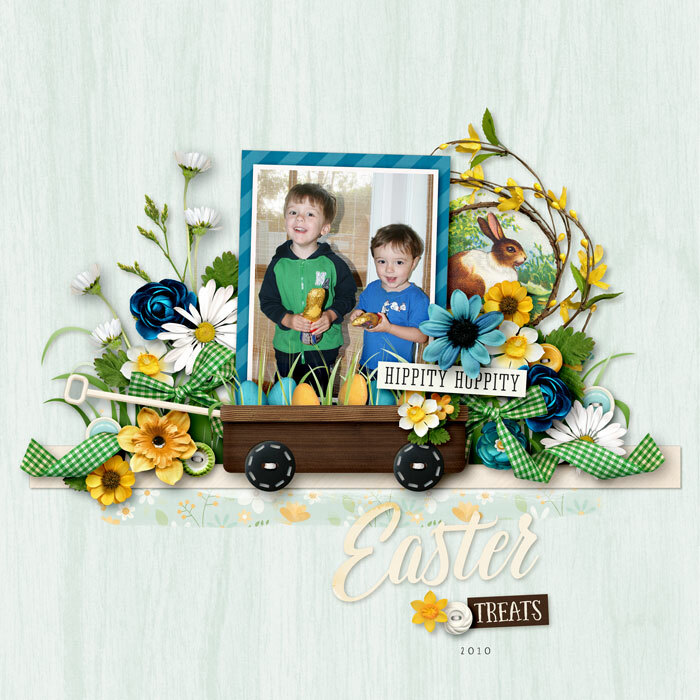 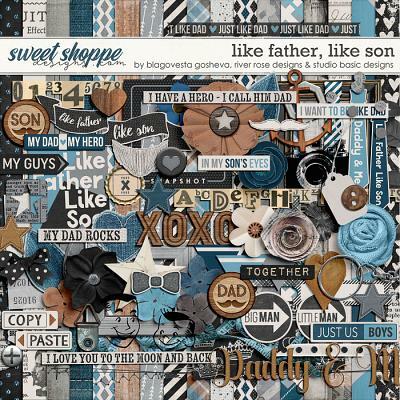 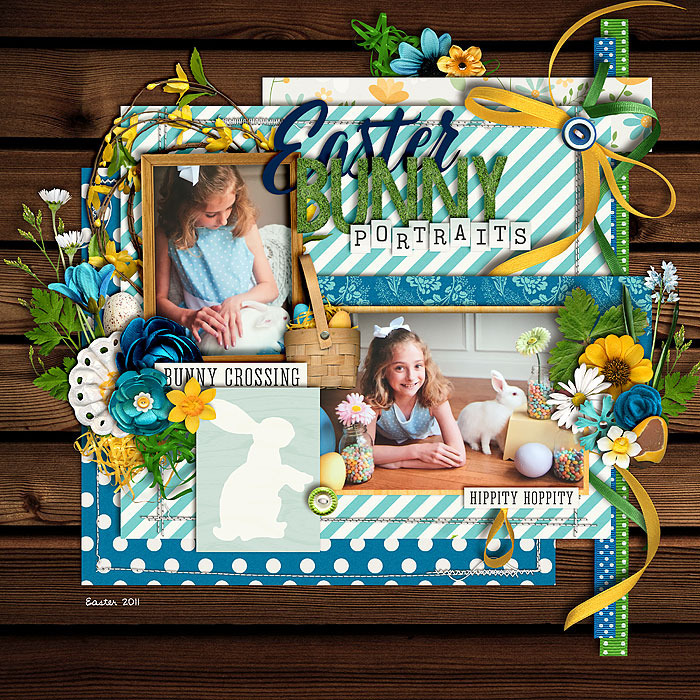 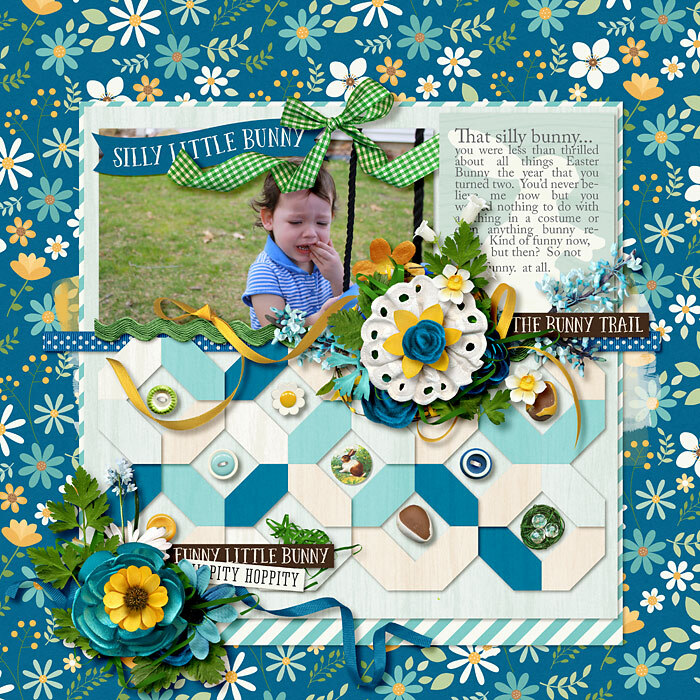 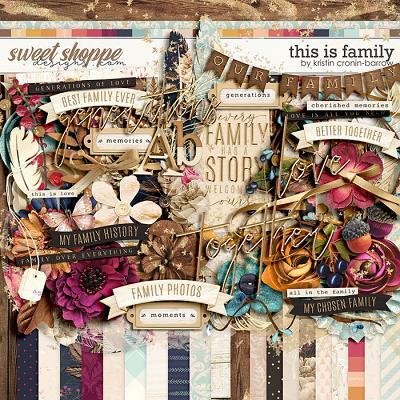 A digital scrapbooking kit by Kristin Cronin-Barrow, Easter Bunny. 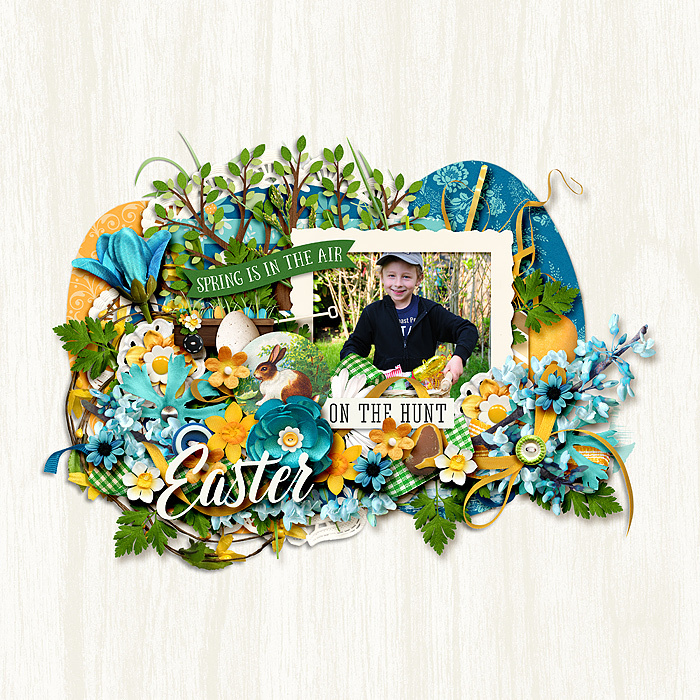 Spring wouldn't be spring without a visit from the Easter bunny, would it? 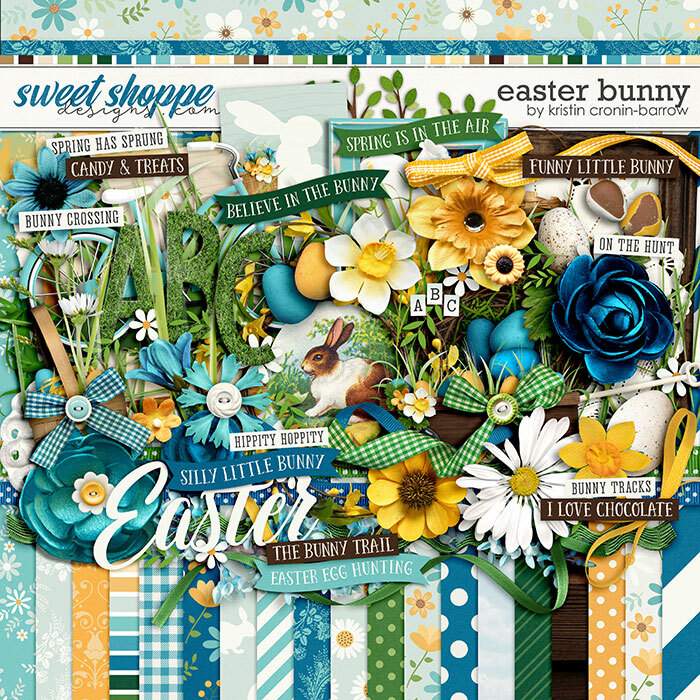 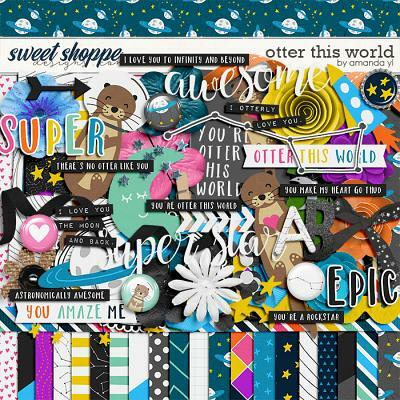 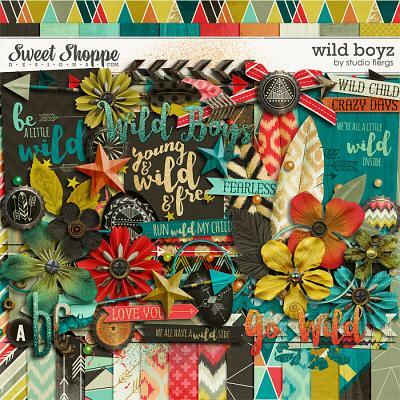 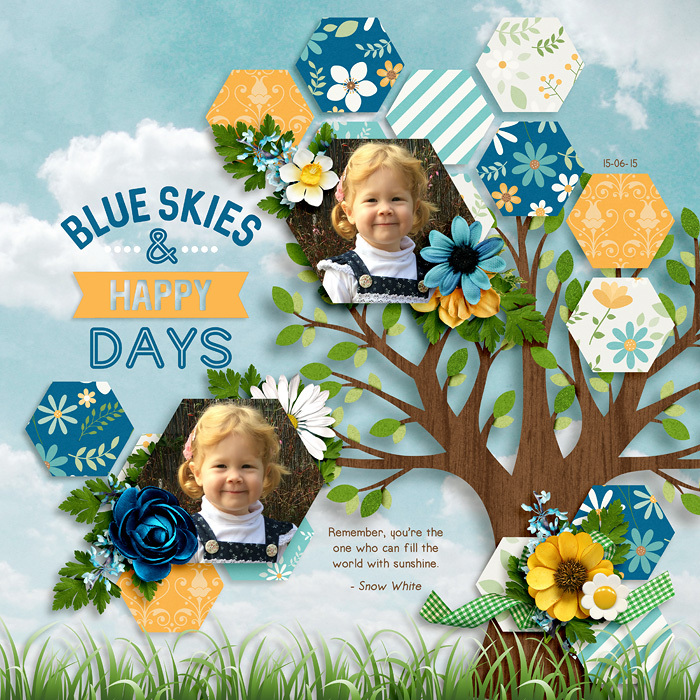 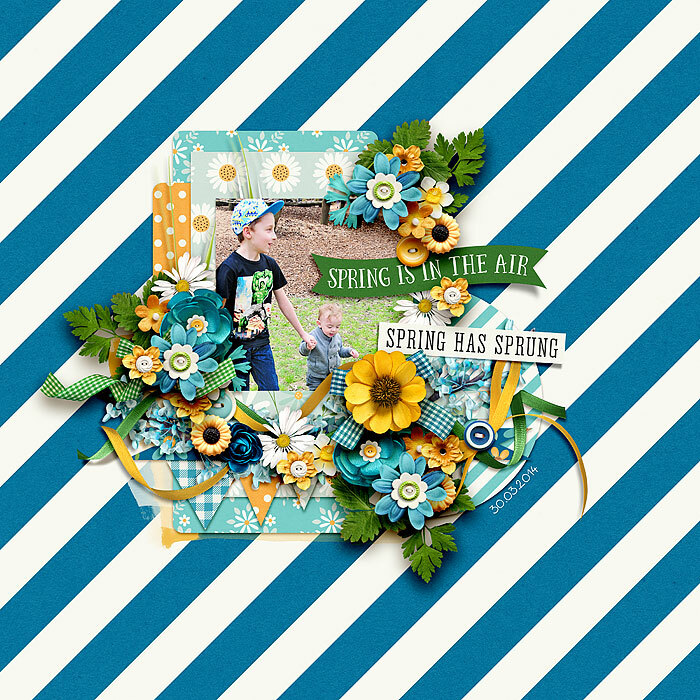 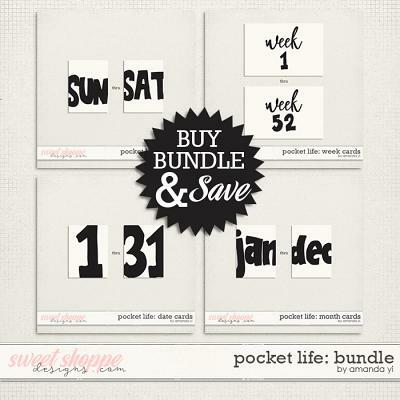 Be inspired by the sunny, springtime colors and the plethora of flowers, bunnies, chocolate, grass, daisies, eggs, candy, word strips, titles, a grassy green alpha and more in this gorgeous kit. 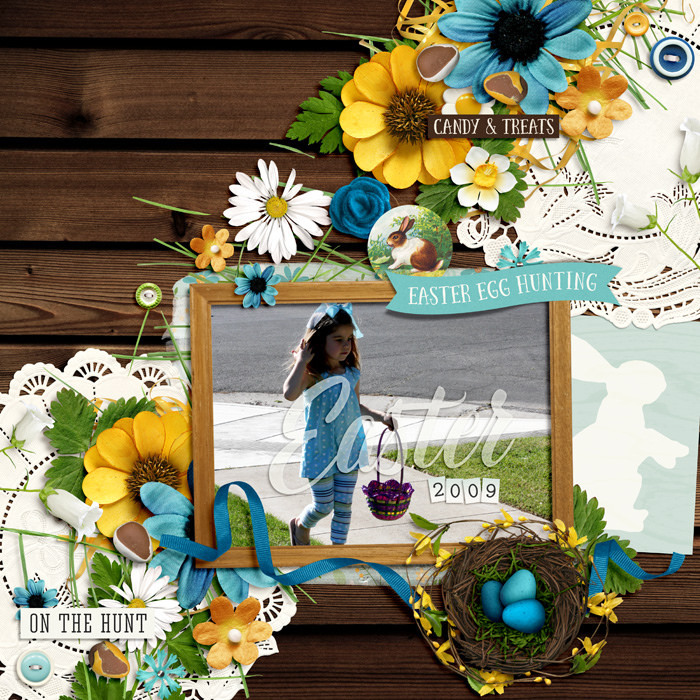 Starting right now, the hunt is on...for the Easter bunny!